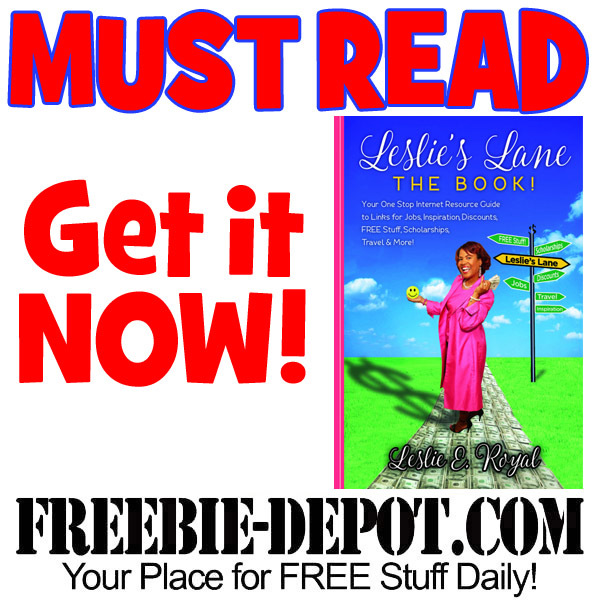 Freebie Depot Featured in Leslie’s Lane: The Book! WOW! How cool is this? Leslie Royal is a professional freelance writer and blogger. Her blog, Leslie’s Lane, is informational, educational, and inspirational. Leslie’s Lane provides practical assistance in the area of jobs, discounts, free stuff, scholarships, internships, travel, and a wealth of other information that individuals find helpful in their daily lives. Leslie’s new book, Leslie’s Lane: The Book! is her printed version and reference guide of her popular blog. I am honored to be included in her resourceful book – that you can buy right now. from Leslie’s Lane: The Book! – Tim Pearsall is Webmaster, Creator and CEO (Chief Everything Officer) of Freebie Depot.